RapidKL Bus U86 services between One Utama and Metro Prima Kepong via Damansara Perdana. Hi, you can just use RapidKL U86 from The Curve to Metropolitan Square, just that the bus comes every 90 minutes. I need to travel from desa park city to section 17.
if there s no direct bus to the 2 places mentioned, could u advise how to make the journey by bus? Hi, which Section 17 do you mean? Hi, it is hard to say. RapidkL U86 never have schedule. Hi there, may I know how long it takes from one utama to sri petaling? Hi, you can take Metrobus 99 to Mid Valley, then cross opposite Federal Highway and take U71 to Sri Petaling, this takes about 2 hours. Hi, you can take Metrobus 99 from Kota Damansara to Pasar Seni, then go to Medan Pasar to take RapidkL U3, U209, Metrobus 43 and etc to Ipoh Road. Hi, you need to take U86 to 1Utama, then only take U89 to Kelana Jaya LRT Station. Hi, there is no timetable for rapidkl bus, it normally comes every 90 minutes. Hi, you can take RapidKL U86 to 1Utama, then take RapidKL U88 to SS2, last take RapidKL U85 or Metrobus 12 to Section 17 PJ. Hi, may I know any RapidKL from Neo Damansara to I-City KL? Thanks. Hi, you can take RapidkL U86 to 1Utama, then take U88 or Metrobus 99 to Federal Highway, On the opposite direction, take RapidkL U80 to Shah Alam bus terminal. Last, take RapidKL U90 or Seranas bus to I-City. Hi, if I want take the bus from section 13 to damansara jaya kdu campus,which bus and bus nombor that I need to ride and what is the sechle time the bus service on this way from Monday to Friday..
Hi, if you mean Section 13 PJ, then you can take RapidKL U88 at Jalan Semangat to KDU Damansara Jaya, stop at LDP. Hi, you'll need to walk to Lebuh Bandar Utama near TV3 and take U89 to LRT Kelana Jaya. 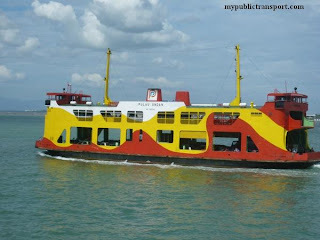 Hi, may I know how to get to I-city from kelana jaya? And how long should it take? Hi, you can take LRT to Asia Jaya, then walk to Federal Highway and take RapidKL U80 to Shah ALam, then take U90 from Shah Alam bus terminal to I-City. This takes about 1 hour and 45 mins. Hye. May i know how to go to Sunway Giza Mall, Kota Damansara from Damansara Damai via bus? Hi, you can take U8 or Metrobus 100 to Metro Prima, then take RapidKL U86 to Persiaran Surian. Last, take U88 or Metrobus 99 to Sunway GIza Mall. Hi, may I know how to go Jalan KIP 3, Taman Persiaran KIP from metro prima Jusco via bus ? Thank you. Hi, from Metro Prima, you can take RapidKL U4 or Selangor Bus 144B to Taman Perindustrian KIP and walk to KIP3. How to go segi college kota damansara from ktm? Hi, you can take RapidKL U88 or Metrobus 99 from KL Sentral, Universiti LRT, Asia Jaya LRT. Hey, can I know hiow to get to kanching rainforest from kelana jaya? And how long does it take? Thanks! Hi, you can take LRT from Kelana Jaya to Masjid Jamek, then take Metrobus 43 to Kanching Rainforest. Hi, it should be around 90 minutes. Thanks? And to going back to kelana jaya? Same Bus? For Weekdays , what times the bus will reach? Have 7:30 ? Hi, the bus usually comes every 2 hours. 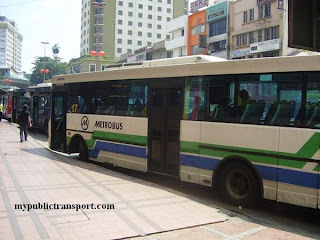 Hi, i would like to ask which bus i should take from pelangi damansara condo to metropolitan sq? and how long the duration? Hi, it is just 2km away so I suggest to walk. If take bus it may takes near to 2 hours, because U86 comes every 2 hours ++. Hi, is there any public transport from bandar utama to selayang? Or any option? Hi, you can take RapidkL U86. Which part of Selayang are you heading to? Hi, you can take LRT from Kelana Jaya to Pasar Seni, then take taxi to planetarium negara. How about prima u 1 ke kota damansara? How about KTM? Can I take it? And how? How to take from prima u 1 to kota damansara? Hi,you can take T622 from PRU 1 to Kelana Jaya LRT Station, then take RapidKL U89 to Kota Damansara. Hi, there is no bus to Planetarium except the KL Hop on Hop off. The ticket is more expensive than the taxi ride. You can use KTM from Kelana Jaya. 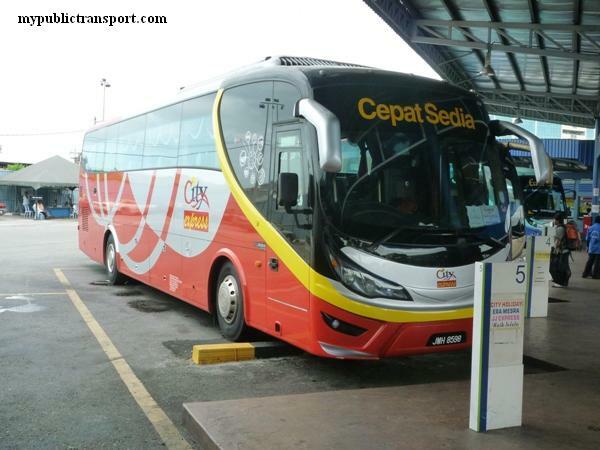 Which bus should I refer if from kepong central ktm to kota damansara? How much the ticket charge? Hi, you can take Rapidkl u86 from persiaran Kuala Selangor to Persiaran Surian, then take u88, u89 or Metrobus 99 to Kota Damansara. Hello, will there be any buses to kepong from the curve ? 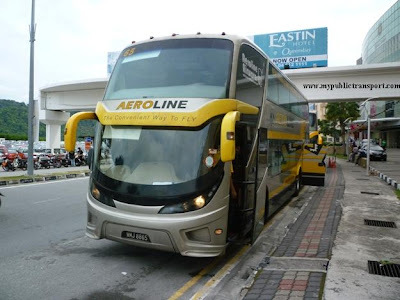 How often buses to kepong wait/pass by the curve ? Hi, you can take RapidKL U86 from The Curve to Kepong but the bus only comes every 2 hours. Hi. are there any bus from taman bahagia lrt station to menara bata ? Hi, you need to take LRT to Kelana Jaya, then take U89 to 1Utama. From 1Utama, take U86 to Menara Bata. Is it far to walk to menara bata after get down from the bus? Or do i need to take taxi? It is not far after you reach Damansara Perdana. Hi, will there any buses to Neo Damansara, No.1 Jln PJU 8/1, Damansara Perdana? 1. Take U86 from 1Utama to Neo Damansara directly. U86 only comes every 2 and half hour. 2. Walk from 1Utama to Persiaran Surian near Ikea, then take U88 from the direction heading to LDP and stop at after U-Turn near Damansara Perdana and Kampung Bukit Lanjan, then you can walk to Neo Damansara. Hello. 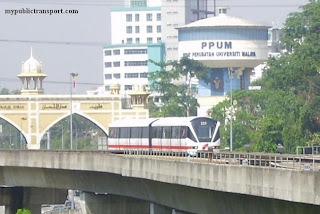 Is there any nearest lrt station to media prima bandar utama? If not, what is the best way to get us directly to kl sentral. Thank you in advance. Hi, you can choose to use one of this option, personally i prefer the 1st. 1. Take U82 directly from 1Utama bus terminal to KL Sentral. 2. Take U88 or Metrobus 99 directly from LDP to KL Sentral. 3. Take U89 from Lebuh Bandar Utama to Kelana Jaya LRT, then take LRT to KL Sentral. Hi, I would like to know which bus should I take to get to One Utama or KPMG Tower from Kelana Jaya LRT Station and which bus station should I drop off? And how to get back to the LRT station from One Utama or KPMG Tower. How long does it takes and how often is the bus will be there? Hi, you can take RapidKL U89 from Kelana Jaya LRT station, but this bus is only move every 30-45 minutes. You can choose to take U88 or Metrobus 99 (you can get them in about every 15-20 minutes) from Asia Jaya LRT to 1Utama. If you are taking U89, you can stop at 1Utama Bus terminal. If you are taking U88, you can stop near LDP. 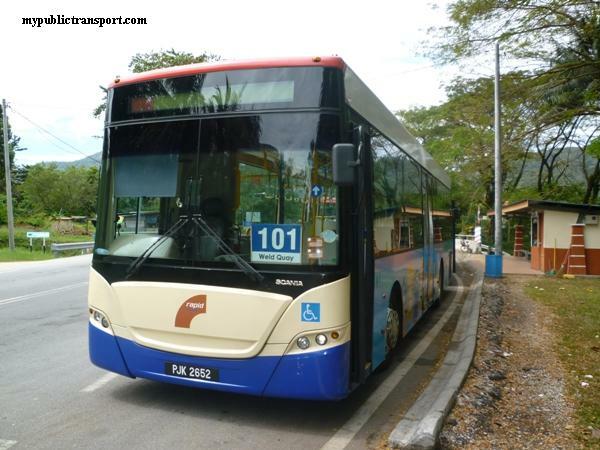 Hi, is there any bus from KTM Kepong to Desa Park City? Well actually there is no bus to Desa Park City, but then you can take RapidKL U86 from Kepong Central to Bandar Sri Damansara, then you can walk to Desa Park City. Hi.I need to arrive One Utama from Metro Prima at 11.00a.m.When I need to wait the bus coming? Hi, you need to wait from 8am. This bus only comes every 2 hours without schedule, so you may need 2 hours waiting time + 1 hour journey time. Hi ,is there any bus stop nearly damansara perdana? How about the schedule and destination will be arrived? Hi, U86 is the only bus that goes to Damansara Perdana but it comes every 2 and half hours. You can walk to Kampung Lanjan or Persiaran Surian and take U88 or 99 which comes every 10-15 minutes. if I takes u86 to 1 utama ,which bus should I takes back to damansara perdana?? It is the same U86. If I after 10pm is it able to get u86 from the curve to go back to metro prima kepong? Althought the last bus is 11pm, we usually notice there are many complains on U86 after 10pm where there is no bus coming. So if you are choosing to take it then there will be risk that the bus does not come at all. Hey, how from Bangsar LRT how to go to Sogo. Thank you. Hi, you can take LRT to Masjid Jamek, then take Sentul Timur Line to Bandaraya station, which is opposite to Sogo. 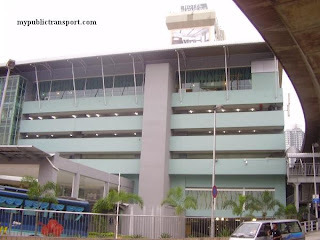 Hi, i wanna go one utama from bdr manjalara, is u86 still pass by there? Where should i wait for the bus? Hi, you need to walk to Selayang Kepong Highway to take U86 and it is not really walking distance from Bandar Manjalara. erm hai.. is there any lrt, busses to go to uptown damansara from section 17 PJ? Hi, you can walk to Sprint Highway and take U82 to Damansara Uptown. 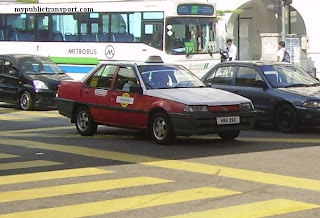 If you don't want to walk so far, you can choose to take T628 or T629 from Section 17 to Asia Jaya LRT Station, then take LRT to Kelana Jaya, then last take U89 to Damansara Uptown. Yes, you can take RapidKL U88 or Metrobus 99. Hi. How long does it take from Kepong Sentral to PJU 8/1? If I have an appointment at 10am, do you suggest that I wat at Kepong Sentral at 7am for U86? 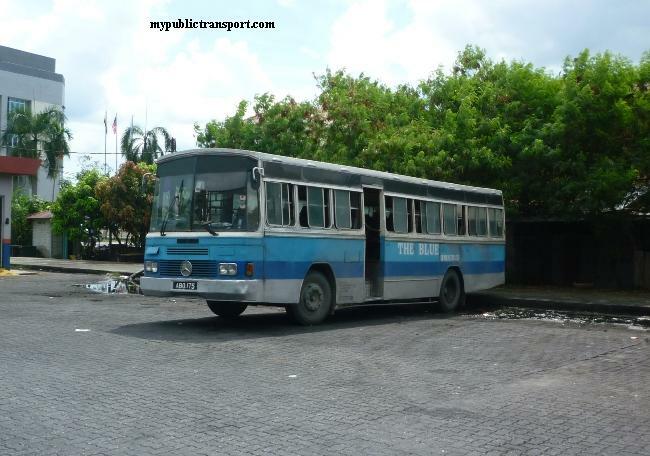 And is this bus available at the Kepong Sentral ktm station? Hi, you need to wait U86 from 8am opposite to Kepong Sentral. 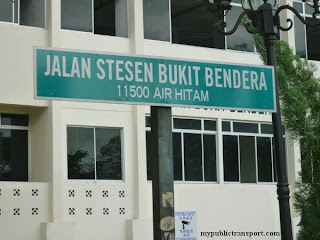 Are there any bus to go to sri pentas bandar utama from rumah pangsa tropicana damai p.jaya? Hi, you can take RapidkL T622 from Tropicana Damai Apartment to Kelana Jaya LRT, then take RapidKL U89 to Sri Pentas. hi,how to go sunway giza mall from setapak?isnt can travel there only through bus? Hi, you can take LRT from Wangsa Maju LRT to Kelana Jaya LRT station. Then you can take RapidKL U89 to Sunway Giza. Hi can I know how to go from kl sentral to metropolitan square which bus/train should I take? Hi, you can take RapidKL U82/U88/Metrobus 99 to 1Utama, then take RapidKL U86 to Metropolitan Square. Hi. Can I know what time will the first bus U86 arrive at Sri Damansara Apartment in the morning? Hi, it should be about 6.15am-6.45am in the morning. Hi, you can take RapidKL U4, U8, U13, or Metrobus 100, or any Selangor bus to Chow Kit, then take RapidKL U1, U10 or Metrobus 41 to Pinggiran Batu Caves. Hi, you can take RapidKL U86. Hi, you can take RapidkL U86 from Damansara Perdana to 1Utama, then take RapidkL U82, U88 or Metrobus 99 to KL Sentral. How can i go to segi college in kota damansara from damansara perdana citi bank? Hi, you can walk to Persiaran Surian and take RapidkL U88 or Metrobus 99 to Segi Kota Damansara. from damansara perdana to kepong which bus to take? Hi, effective from 1 Dec 2015, you can take 801 from Damansara Perdana to Kepong. Hi, you can take the free Tropicana Shuttle from Kelana Jaya LRT station, or RapidKL 800 from KL Sentral to Damansara Intan. Hello thanks for replying. I have called tropicana mall recently and they told me that they have stopped the shuttle service for quite some time now. Is there any other alternative-bus- that goes to tropicana mall from any lrt station? Then the only choice is taking RapidKL 800 from KL Sentral, but there is no bus stop for the bus to stop so I not sure if you can ask the driver to drop you there. Hello, may I know how to get to empire damansara, jalan pju 8/8, damansara perdana from damasara damai? Hi, you can take Selangor Bus 103 to Metro Prima, then take RapidKL 801 to Damansara Perdana. Hi, you can take RapidKL 850. I would like to ask which bus I have take from KTM Kepong to 8a, Jalan 54, Kepong 52100? Hi, please take KTM to Kepong Sentral, then you can any Selangor bus that pass Kepong Sentral to Jalan 54. You can also walk directly from Kepong Sentral to Jalan 54. Which bus should i take to go to damansara damai from palm spring kota damanasara? Hi, you can take Selangor Bus 103 to Metro Prima, then take RapidKL 801 to Persiaran Surian, then take 780 to Palm Spring Kota Damansara. Okay thank you.. but i mean from palm spring to damansara damai. Hi, sorry for inverted the location. The return journey is just the opposite way. Hi, you can take RapidKL 780 from Persiaran Surian to KL Sentral, then take LRT to Setiawangsa Station. From Setiawangsa, you can take RapidKL T223 to Aeon AU2. Hi, which bus should I take from Kota damansara to damansara pendana ? Hi, you can take RapidKL 780 from Kota Damansara to 1Utama, then take 801 to Damansara Perdana. Sorry.....can i take rapidkl 801 from metro prima to the curve? How long i need to wait the 801 to come? Is the route same with previous u86?or got any changes? Hi, yes it is the same as U86. The frequency is like every 1-2 hours. Which bus should i take to go to 8 Avenue Seksyen 8 Pj from Seksyen 4 Kota Damansara ? Hi, you can take RapidKL 780 to Jalan Utara, then walk to 8 Avenue. Hi, if I want to go One Utama from Damansara Damai by 9am, what time should I wait for the Selangor 103 and how long does it takes to Kepong Sentral. Hi, 103 frequency is about every 30 minutes or more. After you arrive at kepong sentral, 801 frequency is about every one hour. Therefore you may need 2 hours to travel for the worst scenario. Hi, you can take RapidkL 802 to 1Utama, then take RapidKL 801 from 1Utama to Metropolitan Square. I need to reach my office before 9.30am at uptown damansara from jinjang. Which buses should I onboard and by what time I should be at Metro Prima? Hi, you can take RapidKL 801 from Metro Prima to 1Utama, then take 780 or 800 to Uptown Damansara. However 801 only comes every 60 minutes, so you may need to depart as early as 7 or 7.30am. Hi, you can take RapidKL 801, about every 30-45 minutes. 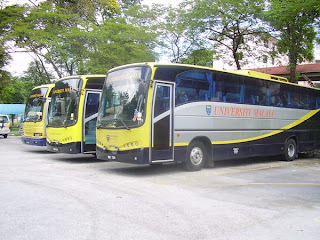 Which Bus should I take to go Kepong Village Mall from selayang? Hi, there is no bus entering Kepong Village Mall. You can take Uber and use this code "yongb22ue" to get a free ride. Hi, you can take Causeway Link T121. Hi if there any bus from Damansara Damai to Tesco Kepong? Hi, there is no bus entering Bandar Manjalara. How about to kepong to tesco kepong? Hi, there is no bus entering Bandar Manjalara from any where . 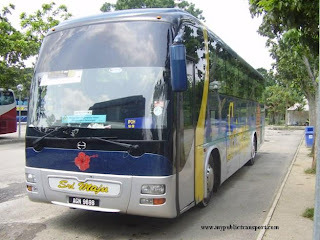 Hi,which bus no from kepong sentral to sri damasara club or 8trium? At which bus stop the nearest to Atrium or Sri damansara club? Hi, you can take RapidKL 801. Thanks for fast reply ^^..sorry again wanna ask at which stop should I drop after taking RapidKL 801 to reach sri damansara? Nearest stop within walking distance,my first time taking RapidKl 801 so I dont know how and where. The bus stop is slightly further, but it is the only choice. U86 is now 801. The journey is about 40 minutes but the bus frequency is about every 60-90 minutes. How can I go sunway from metro prima ? Hi, you can take 100,103,104 or 801 to Kepong Sentral, then take KTM to Setia Jaya, then take BRT to Sunway. Hi, is it U86 if i want to go one utama from metro prima at 11am, and go back to metro prima from one utama at 9pm ? May i know what time will the bus arrive or how long do i have to wait for the next bus if i miss the bus ? Hi, U86 is now known as 801. Yes you can take it between Metro Prima and 1Utama. The bus is every one hour. Thankyou, the bus will not operate after 8pm ? Hi, you can first take T103 from Damansara Damai to Sungai Buloh MRT, then take MRT to Bandar Utama, then you can walk to 1Utama Bus terminal and take 802 to Kelana Jaya LRT. Last, you can take 783 from Kelana Jaya LRT to Taylor University. how to go desa parkcity from palm spring kota damansara? Hi, you can take MRT from Surian to Bandar Utama, then take 801 from 1Utama Bus Terminal to Bandar Sri Damansara, then take Uber to Desa Park City, there is no bus entering Desa Park City. how to go mid-valley from palm spring kota damansara? 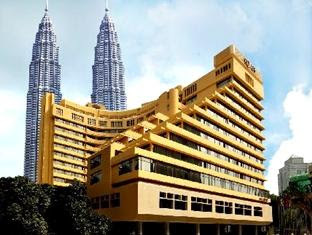 how to go HKL(hospital kuala lumpur) from palm spring kota damansara? Hi, you can take 780 from Palm Spring to Asia Jaya, then you can take 700, 701, 710, 751 to Mid Valley. From Asia Jaya LRT, you can take LRT to KL Sentral, then take Monorail to Chow Kit, then you can walk to HKL. How to go puchong from palm spring? Hi, can I know which part of Puchong? 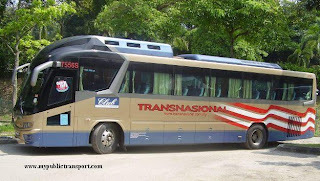 Hi, you can take 780 to KL Sentral, then take KTM to Taman Wahyu, then you can take 152 to W3 Studio. Can I get ktm from Kuala Lumpur sentral(old one) to taman wahyu? Hi, you can take KTM from Kuala Lumpur to Taman Wahyu. 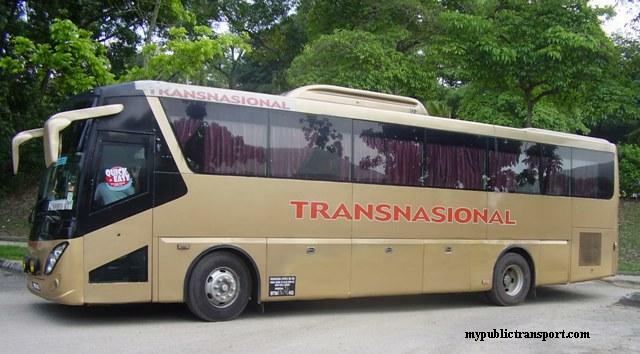 Hi, you can take 780 to Asia Jaya, then take LRT to Bandar Puteri (transit at Putra Height). Hi, you can take T450 to Kajang, then take Sri Indah 451 to Lebuh Pudu, then you can take RapidKL 780 from Pasar Seni to Surian MRT，then take 802 or T808 to Giant Kota Damansara. Hi, you can take LRT to Asia Jaya(transit at Masjid Jamek), then take 780 to Mutiara Damansara MRT. Then you can take T810 to PJ Trade Center. Hi, you can take Selangor Bus 100, or Causeway Link 122.
hi. which bus should i take to go to kota damansara from prima damansara? 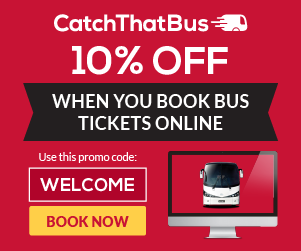 Hi, you can take T103 to Sungai Buloh MRT Station, then take MRT to Kota Damansara. is there any possible bus routes if i don't want to use MRT? Then you need to take 103 to Masjid Jamek, walk to Pasar Seni and take 780. This may takes about 2-3 hours. hello. which bus should i take from bandar sri damansara to MRT sg buloh? Hi, you can take 801 from Bandar Sri Damansara to Mutiara Damansara MRT, then take MRT to SUngai Buloh. Hi, you can take 780 to Surian MRT station, then take T807 to Lembah Subang LRT, then you can take T782 to Oasis Village. Hi, you can take 802 to Kelana Jaya LRT, then take 783 to Sunway Pyramid. Hello. How do I get to Merchant Square from BK 5 LRT station? Hi, you can take LRT from BK5 to Kelana Jaya (transit at Putra Height), then take T780 from Kelana Jaya LRT station to Merchant Square. Hi, you can take T816 to Phileo Damansara MRT, then take MRT to Sungai Buloh, then you can take Selangor Bus 100 to Aeon Kepong. Hi, you can take 801 to Mutiara Damansara MRT, the bus however is every 45-60 minutes.